Home » Health Care » How Long Does Valium Stay in Your System? 2. What Is Valium and What Does A Valium Do? 3. What Is The Half Life of Valium? 5. How Long Does Valium Stay in Your System? 7. What Are Possible Ways to Test Valium? 10.1. How Long Does It Take for Valium to Work? 10.2. How Long Does It Take to Get Addicted to Valium? 10.3. Can I Use Valium with Other Drugs? Anxiety and insomnia are just two of many common disorders that we are facing in modern world. The huge piles of workload depress us every single day. Many people rely on such drugs as Valium to get rid of these problems. However, behind their immediate pain-killing effects are many serious concerns, especially how long does valium stay in your system. It is a very complicated issue and this article will explain to you the truth about how long does valium last in your body. What Is Valium and What Does A Valium Do? Valium, or some might prefer its generic term – diazepam, is a type of drug that people use to fight against anxiety. It is also common to use valium before surgery and other medical procedures thanks to its calming and sedating properties . 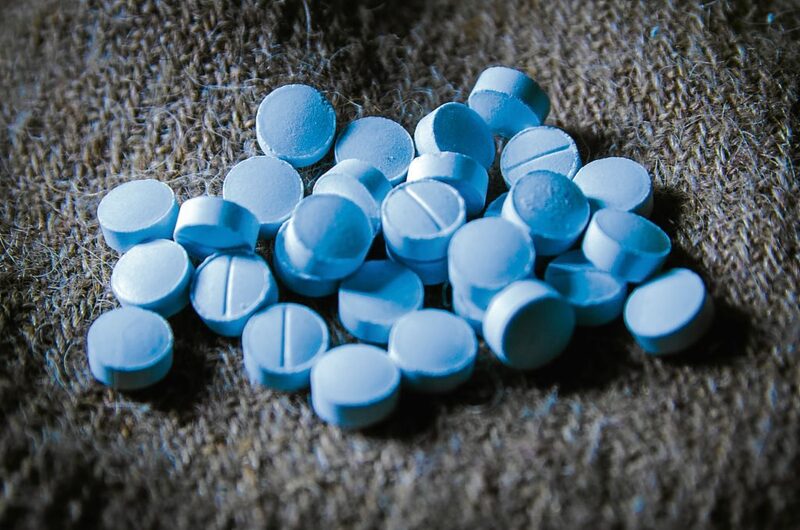 Valium is among the most popular benzodiazepines in the U.S. According to statistics in 2008, about 5.2 percent of American adults between 18 and 80 years old reported the use of benzodiazepines . The golden moment for Valium was back to 1978, when the annual sale for valium was more or less than 2.3 billion tablets . Then, it became less popular as some people experienced serious withdrawal symptoms. More seriously, there have been deaths recorded in those who overused the drug. In general, Valium still plays an essential role in many medical institutions as it is an effective drug. Nevertheless, the sad fact is that people can abuse it and we cannot deny that Valium is highly addictive. If you abuse this drug over an extended period of time, you might suffer from catastrophic health problems. Valium, as well as other types of Benzos, can depress our central nervous system. In addition, your respiratory system may become slower. When you use Valium along with some depressants, for example, alcohol, you might stop breathing, which is the main reason for brain damage or even death . On the international scale, Valium is a Schedule IV controlled agent, according to the Convention of Psychotropic Substances. Because of these restrictions, it is not easy to get a prescription. Besides, doctors cannot provide many prescriptions either. However, every year, we still witness the increasing number of recreational uses. Even though valium brings therapeutic benefits in medical procedures, it is still a contributor to memory loss or dementia in the long term. The regular use of this drug might have negative impacts on your work or study performance. More seriously, you cannot operate a vehicle well after using the drug. As a result, a number of people would like to cease the use of Valium immediately. However, you will need to know how long does valium stay in your system and what can affect it? What Is The Half Life of Valium? When it comes to the half-life, we want to talk about the necessary amount of time your body needs to eliminate half of the drug naturally. In this case, the half-life of Valium is very long. It might vary from 20 to 80 hours. But that amount is various among different subjects. What is the half-life of Valium in young healthy people? It is only around 24 hours. The reason is because of the drug’s properties. At the beginning, Valium is inactive. When there is normal metabolic process in a body, the drug will then become active. In case you have just decided to stop using Valium recently, the likelihood is that you might have problems with Valium withdrawal symptoms. It is important to know that your reactions might not be the same as any other people. So, you should focus on how to minimize these effects in your way. One of the most popular reasons why people use Valium so much is to cope with anxiety. It is a common disorder in our today’s society. So, it is reasonable to re-suffer from anxiety if you stop getting Valium, especially when your body is so familiar with it. Another common withdrawal symptom is dizziness. At this time, your brain needs to work harder in order to function when there is no GABA stimulation from Valium any more. The more quickly withdrawal process happens, the worse dizziness is. You will experience tiredness or fatigue immediately after you no longer take Valium. It totally makes sense because your neurotransmission cannot go back to normal functioning instantly. Depression can appear even during you are using Valium. However, it tends to be more intense when you stop using the drug. The level of depression is different among individuals. In some circumstances, it might be so serious that some people think of suicide. Therefore, it is vital to get help when you notice the slightest signs of depression. The period in which these symptoms last is not fixed. Some might witness them just in several days, while others might struggle for months. Learn more about how long does Valium stay in your system and then, find the most appropriate way to eradicate it from your body. No matter how many times you have used Valium, there are times when you want to stay away from it. And it is true that the decision of quitting Valium will have life-changing impacts. Valium might be an useful option for medical treatments as long as there is supervision from professionals. However, the risk of developing addiction is very high. Thus, the sooner you get rid of it, the better. In fact, there is no uniform answer for how long does Valium stay in your system or how long you manage to eliminate all of it. In order to find out how long does Valium stay in your system, it is imperative to re-examine the elimination half-life of Valium. Overall, it falls around 43 hours, which is the average number for your body to eradicate half of the last dose . If we assume that this number is correct, then your plasma will clear the drug completely after about 9.85 days. Nevertheless, even though your systemic circulation has finished clearing diazepam, it is not necessarily true that your body eliminates its metabolites as well . Norma diazepam – the most pharmacologically active metabolite in diazepam – has its half-life between 40 and 100 hours. It is not to mention some factors that can prolong the time . If we assume that the half-life of nordiazepam falls into that fluctuation, 70 hours will be the final result to clear every nordiazepam metabolite. In case that your elimination of nordiazepam can last about 100 hours, then the full elimination will finish after 22.92 days . The main reason why we cannot identify exactly how long does Valium stay in your system is because of variables. They might vary from your individual characteristics to external factors. Let’s dig deeper into what possibly influences how long does it take for Valium to kick in! This perhaps plays the most significant role in considering how long does Valium stay in your system. When your liver has problems, the time it takes to clear Valium will be much longer. According to some studies, those who have liver malfunction would have five-fold slower elimination of Valium . In other words, if you have poor liver condition, you might have to wait up to 38 days to fully clear the drug. Even when two people have the same healthy liver condition and they get similar amount of Valium, the possibility of their similar elimination time is very low. It is the result of many individual factors which you are going to find out more right now. Age is another factor that might impact how long does Valium stay in your system. It directly affects the elimination half-life of this drug. To be specific, those aged over 65 would experience 2-fold rises in the elimination half-life. So, they might have to experience 20 days until their plasma is completely free of Valium . There are many reasons behind this fact. It might be due to lower blood flow in elderly people’s liver or decreases in their albumin levels. Besides, some medications in elderly people are also responsible. On the other hand, infants have different half-life of Valium as well. Premature infants often experience 54 hours, while full-term ones might have to wait during just 30 hours . This difference comes from underdeveloped metabolic pathways in premature infants. It is mainly responsible for the greater concentration of Valium. Many enzymes in your liver play an essential role in metabolizing Valium. And genetics have a big say over these enzymes. In other words, genetics are something you need to consider when it comes to how long does Valium stay in your system. If your enzymes function less effectively, then you will have to experience a longer period to expect all Valium to be gone. It is imperative to take the percentage of your body fat into consideration if you want to calculate exactly how long does Valium stay in your system. According to some studies, obese people often experience a longer period of accumulating Valium – about 7.8 days. Meanwhile, non-obese subjects only had 3.1 days . Moreover, obesity can also make you eliminate diazepam more slowly, which might be up to 82 hours. Non-obese people experienced only 32 hours . Therefore, if your body fat percentage is high, the likelihood is that your body will need more time to get rid of Valium. Whether basal metabolic rate (BMR) affects how long does Valium stay in your system remains controversial. But you should not underestimate its effects. People who have hyperthyroidism are likely to have a longer elimination half-life. It is also important to note that there is an association between hyperthyroidism and your body fat percentage. Obese people have longer elimination and those with lower BMR also suffer from the same. Obviously, these two factors will affect your final result of how long does Valium last. A dose of 10 mg will cost you more time to metabolize as well as eradicate than the amount of 0.5 mg. Greater doses cause more pressure on your liver enzymes, which results in less efficient breakdown of diazepam. On the other hand, when you take greater dosages, your body will witness a greater concentration of metabolites and diazepam at the same time. As a result, the elimination half-life will be longer. If you pay attention to dosage only, then it is not enough. How frequently you take the drug should be seriously concerned. When you are used to taking Valium a few times on a daily basis, your elimination will take place longer than those who use it only once per day. It is easy to understand that successive dose leads to greater accumulation. In case you are using other drugs, it is likely that the elimination will be longer. The reason is that other drugs might have significant influence on the function of enzymes to metabolize Valium. Some typical inhibitors of enzyme are Luvox, Prozac, Cobicistat and Ritonavir. However, there are drugs which help to accelerate the elimination process as well. They have inducing effects on enzyme activities and finally, enable you to overcome this period more quickly. How they can help is uncertain because of various conditions in each case. What Are Possible Ways to Test Valium? If you want to detect Valium, you have a lot of options. And they can be applied even when you wish to detect other types of benzodiazepines. There are four main types of tests for Valium, including urine, blood, hair, and saliva tests. They can be useful for you to identify how long does Valium last in your body. Urine is not the best way to find diazepam because little of Valium comes out in its unchanged form. Nevertheless, urine tests can give you an easy way to detect diazepam metabolites, such as oxazepam, nordiazepam or temazepam. Some people wonder how long does Valium stay in urine. Not surprisingly, there is no exact amount of time for everyone. In many cases, we can detect the drug many weeks after administration, which means that the drug lasts quite long. Meanwhile, the results come soon for some people, just a couple of days. Blood sample can tell us a lot about the ingestion of Valium. In fact, it is one of the best methods to detect diazepam accurately, especially when someone uses the drug regularly. Diazepam tends to accumulate in your bloodstream if you use it constantly in an extended period of time. Thus, it is easier to detect it by your blood. 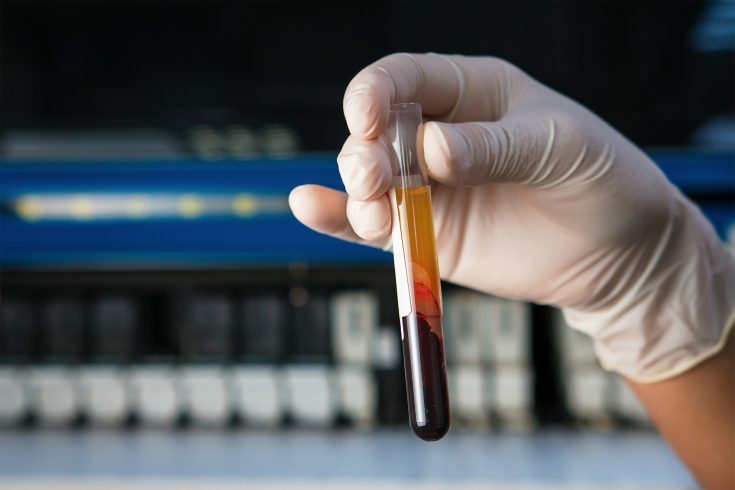 Blood test is more suitable for chronic users or elderly people. It can produce very accurate results and allow us to investigate diazepam abuse. However, the disadvantage of this method is that it is very invasive. Another way to determine the ingestion of Valium is hair test. It refers to the collection of hair follicles and the analysis in a laboratory. The result may come within a week and it is still possible to detect diazepam 3 months after your ingestion. This test is particularly helpful for law enforcement, which requires them to detect illegal uses or abuse. Last but not least, saliva test is an appreciated way to detect diazepam thanks to its being non-invasive. Like hair test, a sample of saliva is collected and then, analyzed in a laboratory or special equipment. In this way, it is probable to detect Valium from 7 to 9 days after your administration. Besides, when you take more Valium, saliva test will show the result more easily. Tests aim to help you determine whether your body has Valium and then, give you the right treatment at the right time. Yet, there are cases in which these tests are really necessary. Let’s find out more about who possibly gets tested. When there is suspicion about the abuse of benzo in crime, tests to detect Valium might be necessary. In such cases, hair test is often the most popular option because it can show the results within a few months. Military personnel have to keep their performance and cognitive function good all the time to obey commands. Valium can lead to some unexpected symptoms, such as drowsiness or weakness. And it is totally unacceptable for military personnel. Therefore, there will be times when some military personnel have to experience tests in order to make sure that they are good enough to handle dangerous mission. People working in some fields, such as truck drivers or pilots, must not use benzodiazepines. Otherwise, they can cause disastrous consequences for other people’s lives. Besides, using benzodiazepines too much has negative impacts on the productivity and it is a catalyst for many health problems. Therefore, many companies require their employees to check Valium so as not to affect the work. Do you understand how long does Valium stay in your system now? We believe that no matter whether your elimination is quick or slow, you all want to speed it up. So, why don’t you check our recommendations on how to eliminate Valium from your body more quickly? Apparently, if you want to get rid of Valium as soon as possible, there is no reason to continue taking Valium and make it concentrate more inside your body. However, do not stop using the drug suddenly. You should do so with the help and guidance from professionals. They can help you minimize withdrawal symptoms to the fullest extent. Obese people have slower accumulation and elimination of diazepam. Therefore, if you want to end it sooner, you can try burning more fat or in other words, losing weight. It has positive impacts on not only your elimination of Valium but also your general health. Remember to achieve your goals by doing exercise and following a balanced diet. If you have ever thought of getting drugs to lose weight, then you will soon end up with other problems in the future. Hydration is beneficial for the eradication of diazepam, while dehydration definitely worsens the situation. Thus, it is imperative to drink more water on a daily basis if you want everything to take place faster. 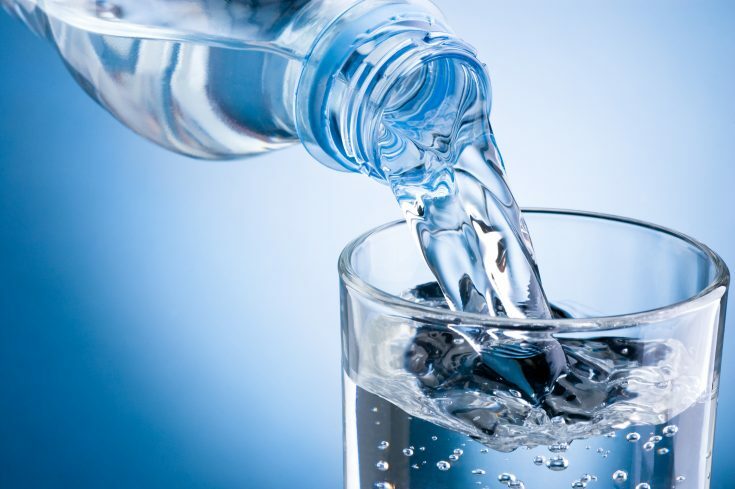 Drinking more water will increase your urinary flow and as a result, diazepam will come out of your body more. In addition, water improves the function of liver which is responsible for many mechanisms behind the elimination of diazepam. Choosing supplements that enhance your liver function is a good idea to start eliminating Valium more. In addition, some supplements, for example, activated charcoal, are great enough to clear any excess diazepam from your final ingestion. Notably, you have to ask your doctor for advice before deciding to use any supplements. There is no point trying on your own and suffering later. How Long Does It Take for Valium to Work? Valium is one of the benzodiazepines that work quite fast. Though, the speed at which it becomes active is different among us. However, in general, you will feel its effects around 15-20 minutes after ingestion and you might have to wait about 45 or 60 minutes to see its full impacts . How Long Does It Take to Get Addicted to Valium? Valium is an addictive substance. And it takes over 4 months to be addicted to this drug. Moreover, if you use it intentionally not for medical treatments, the risk of addiction is much higher. The addiction risk of Valium is not high as that of other drugs, such as Codeine or Vicodin. Nevertheless, the overdose of Valium can result in tolerance in your body. It also causes so many troubles when you decide to end using the drug. Some withdrawal symptoms might be really catastrophic to your health. Can I Use Valium with Other Drugs? Absolutely no! You should never use valium along with any other drugs or depressants, namely, alcohol. Otherwise, these drugs will extend the impacts of Valium on your body. If you wonder how long does valium stay in your system in this case, it is definitely much longer. Similarly, if you use cigarettes or caffeine, you might decrease Valium’s effects and all benefits might not be as much as you want. In general, Valium has many useful applications in our life, especially when it helps to deal with one of the most common problems – anxiety. However, it also poses threats to our health and without understanding how long does Valium stay in your system, you might use it excessively. The consequence is that you suffer from many dangerous symptoms or even death. Do not forget to SHARE this article as a wake-up call for your friends who are misusing this drug!